People always ask me what they can do to help honey bees – most often they ask what flowers to plant in their garden. The thing to remember is that nature provides nearly limitless native nectar providers in the spring, from maples starting early February to blackberries and tulip poplars that last until the end of May. From June 1st to about September 15th there are very few nectar providers for the honey bees to forage on. 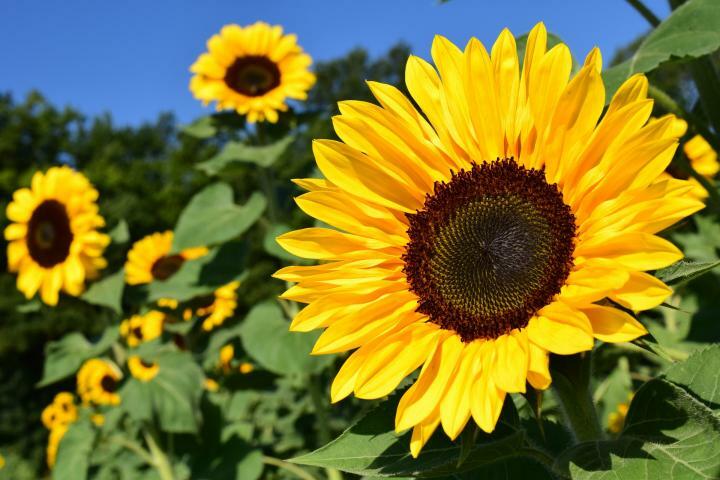 Planting summer flowering plants like sunflowers, bee bee trees, golden rain trees, herbs, abelia, sumac and other summer-flowering plants help the bees with nectar through the tough summer dearth. Waiting to kill porcerlain berry vines until after they’re done flowering helps as well. Planting fall flowering plants also helps as well in case the native asters and goldenrods fail to thrive.